Baca Fiesta - No Flooding, But Lots Of Rain! ​Baca Fiesta - No Flooding, But Lots Of Rain! 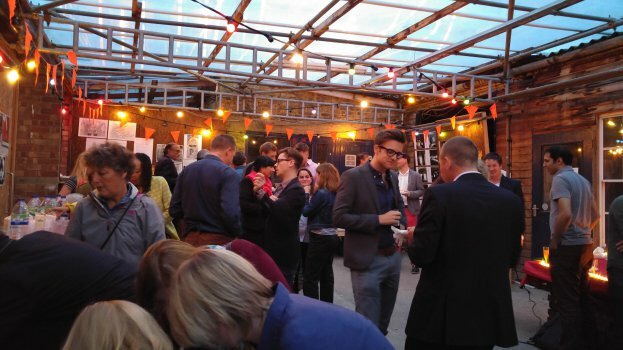 Last night’s Baca Summer Party at the soon-to-be-demolished Beadnell Road site was a wonderful evening, even with the heavy downpour! Safely under the cover of one of the disused warehouse areas, food, drinks and conversation flowed to summer sounds – and monsoon-like music from the rain at points.